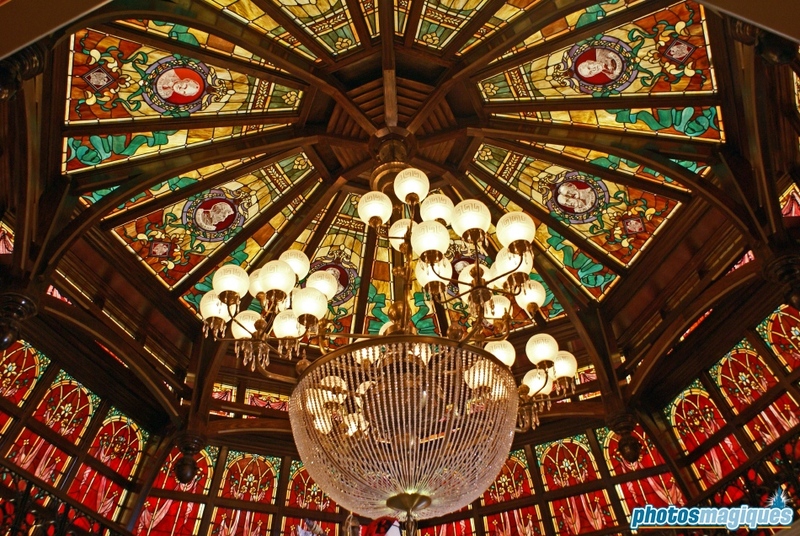 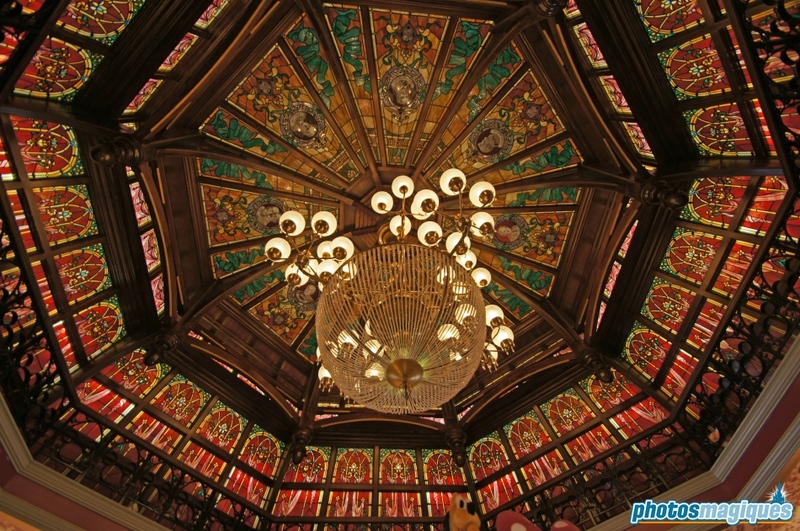 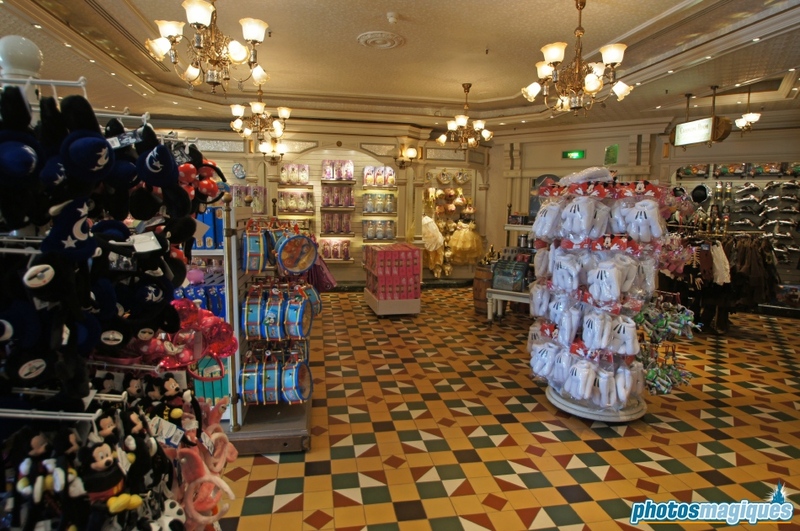 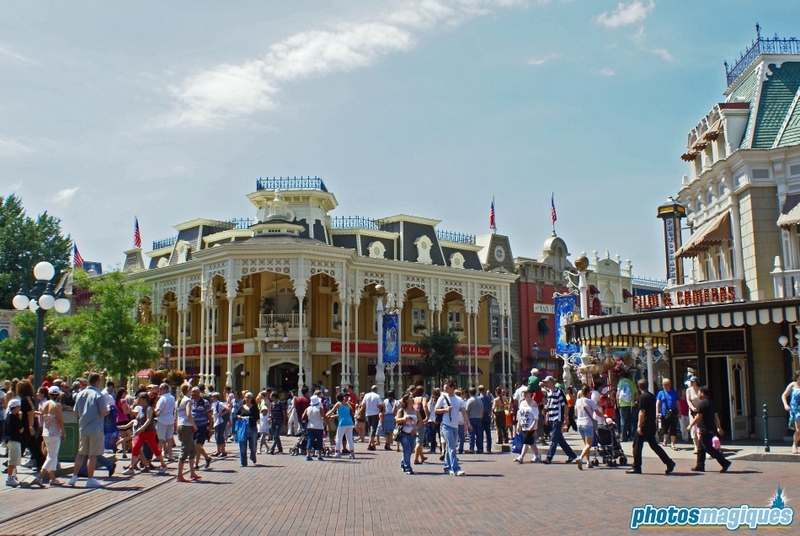 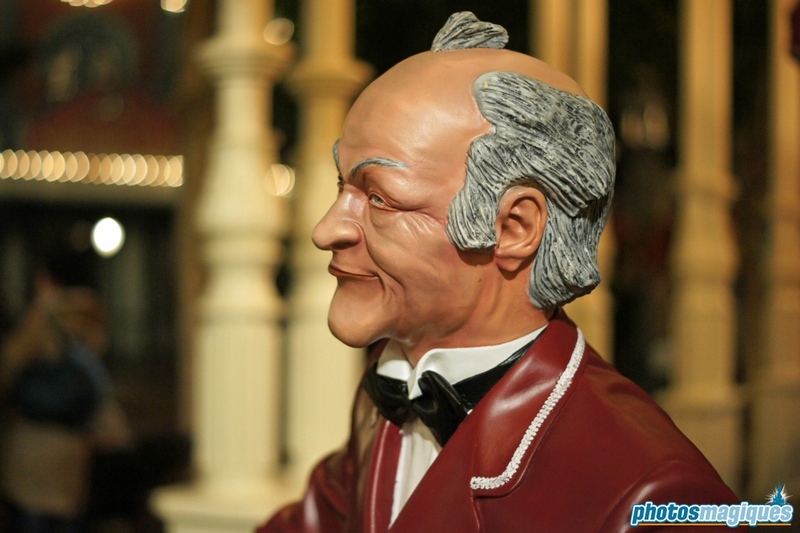 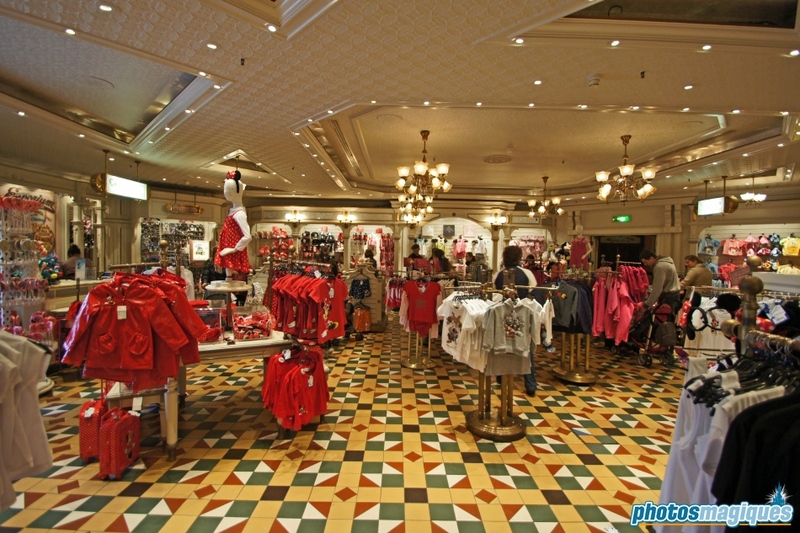 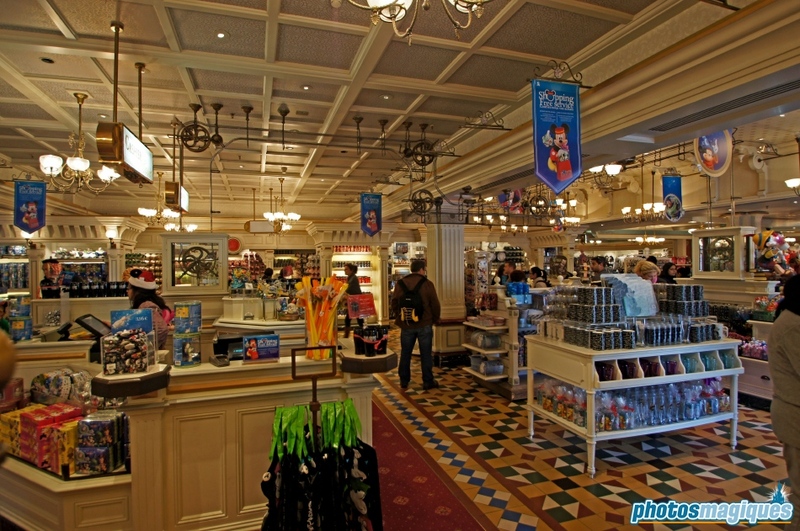 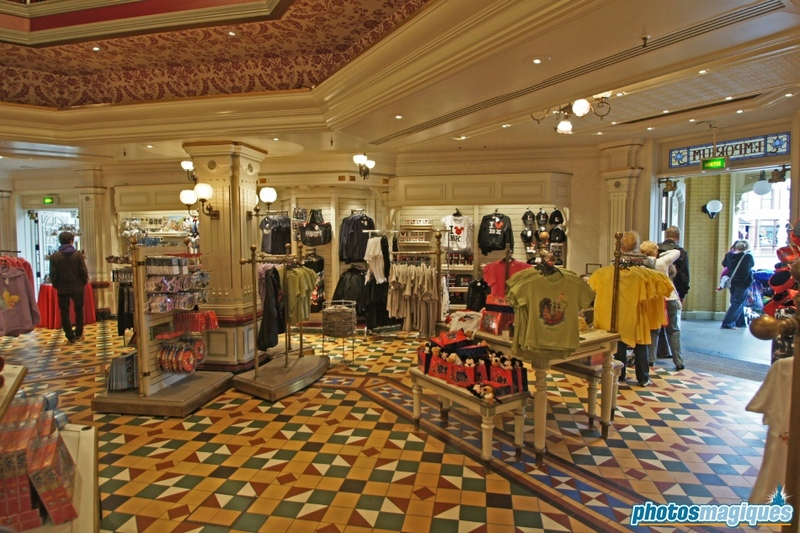 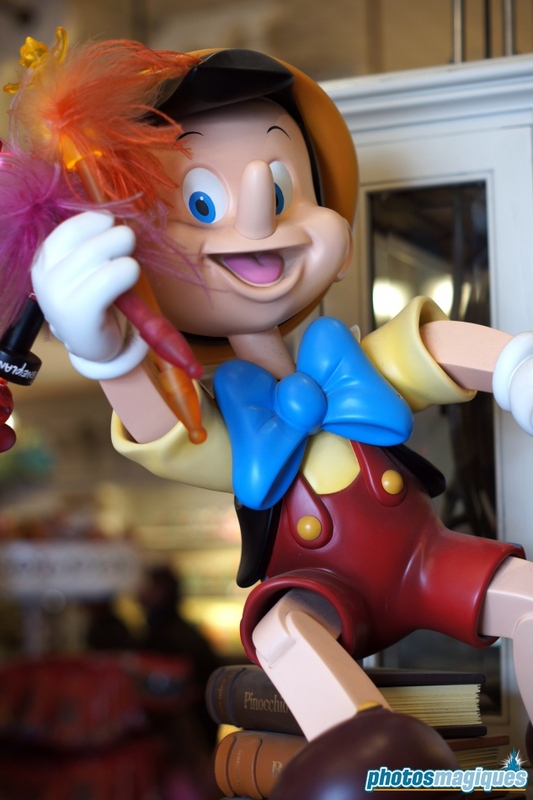 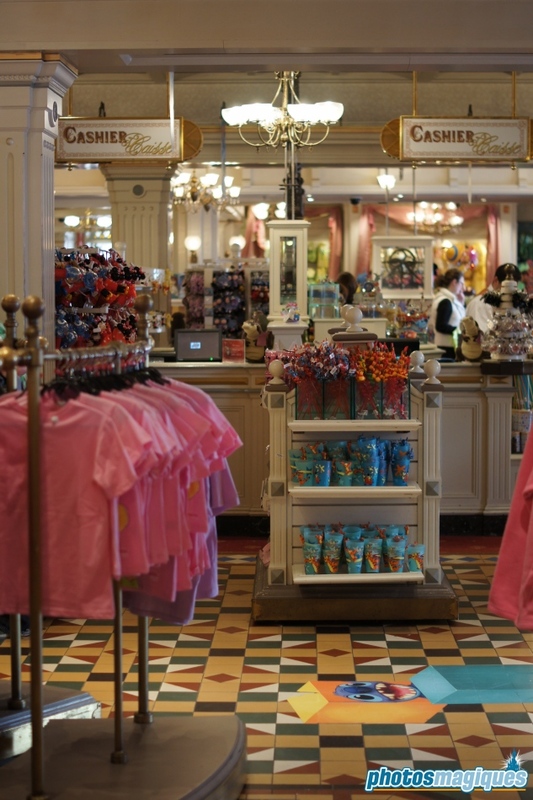 Emporium is the largest boutique in Disneyland Park and offers many different merchandising, including resort-themed souvenirs, apparel, Disney pins and toys. 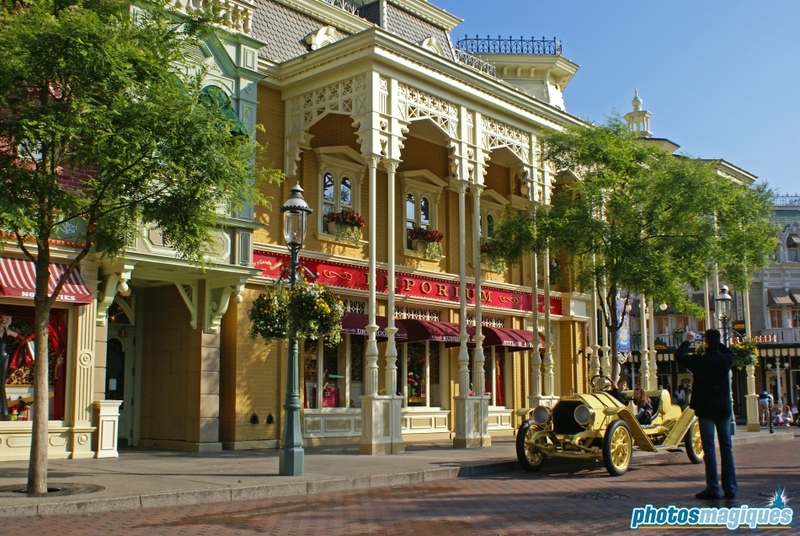 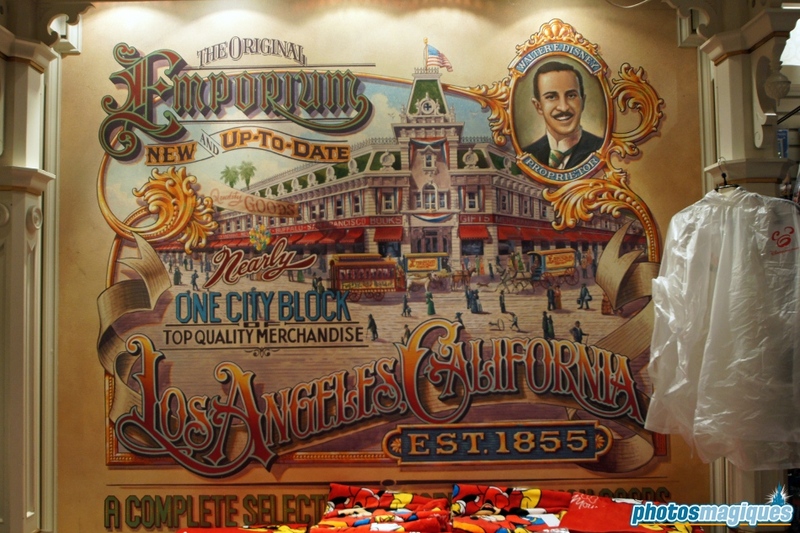 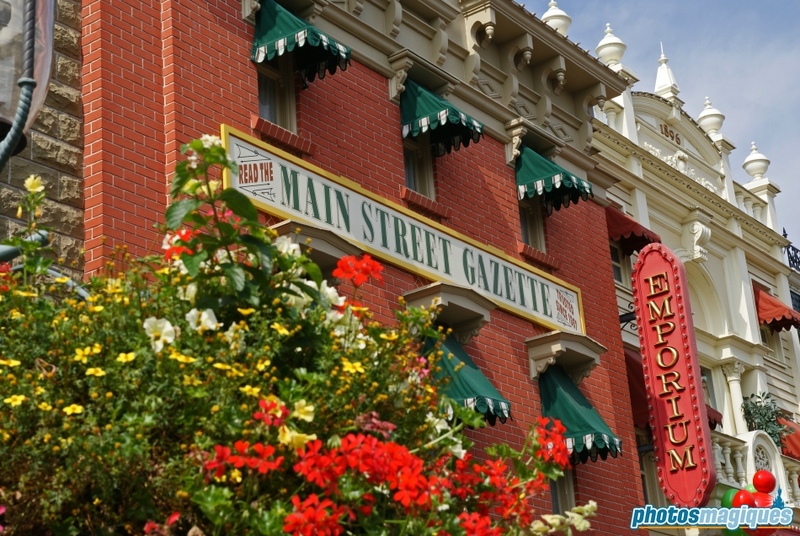 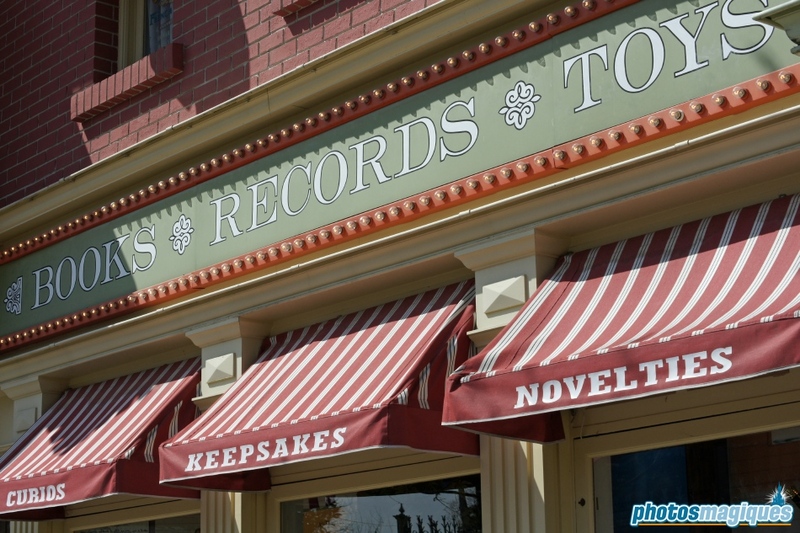 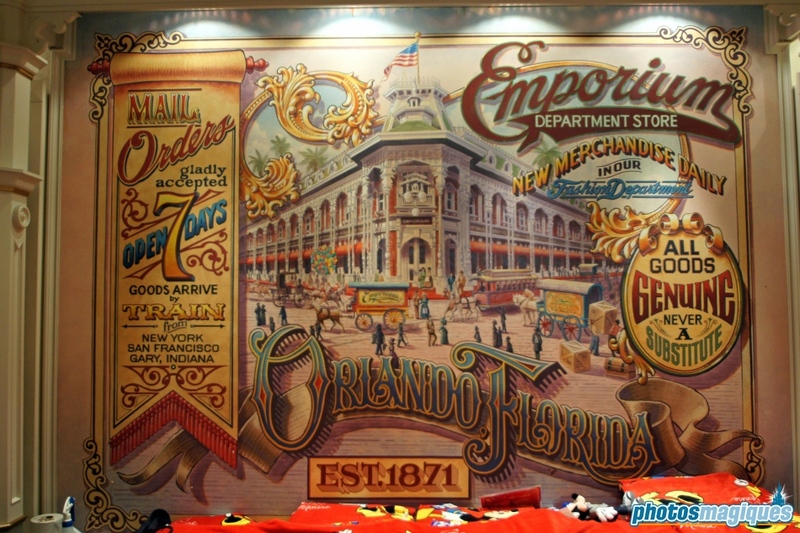 The shop is so large, it’s located behind several different façades on Main Street, U.S.A.
Look for the two murals that represent the Emporium shops in Disneyland California and Walt Disney World. 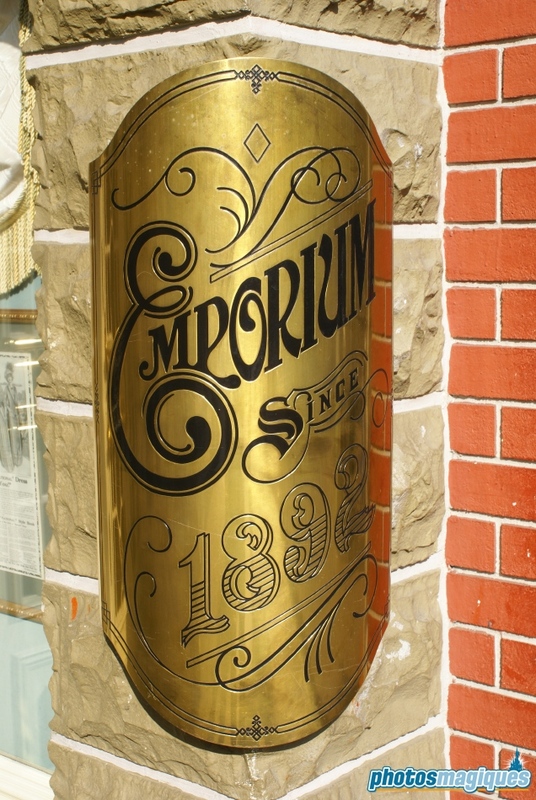 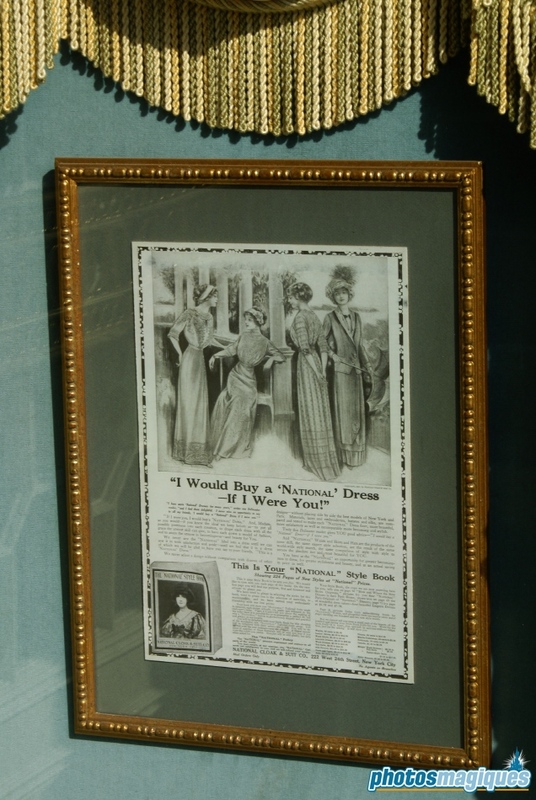 Also, take a look up at the glass dome in the front part of the store, it features drawings from famous inventors like Edison and Bell. 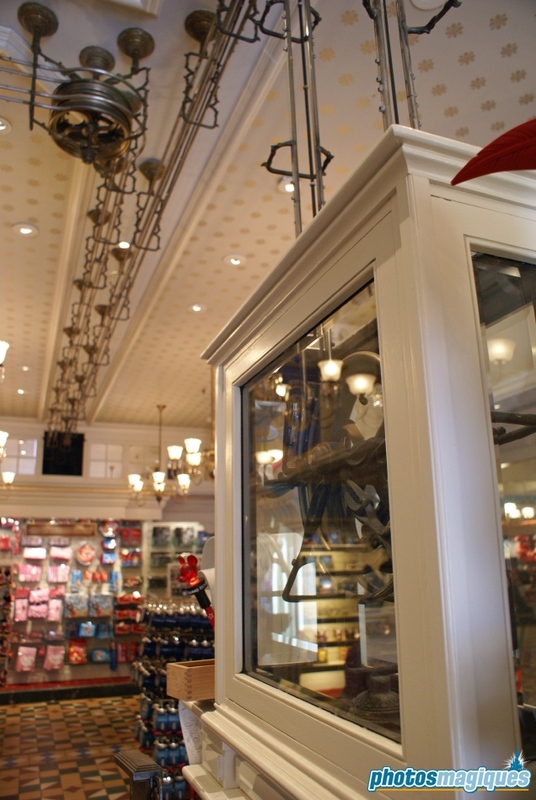 In the centre of the store you’ll see a railing system attached to the ceiling, it’s a historical prop which was actually used in the early 1900’s when staff wasn’t allowed to handle money. 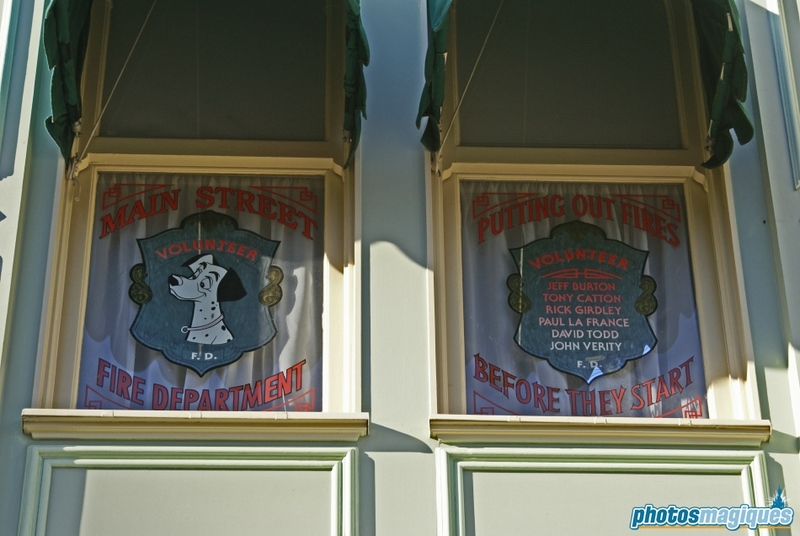 They had to send it using the rail system to the accountant office located in a backstage area of the shop and he would send the change money back using the rail system. 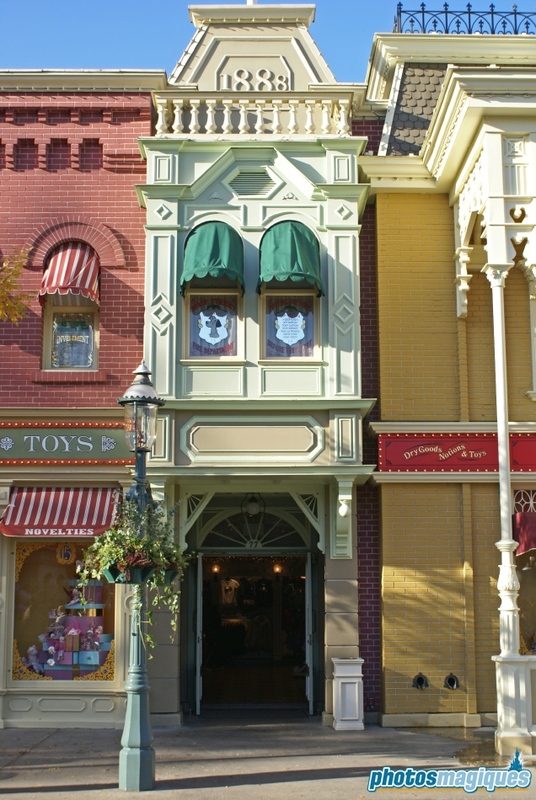 Emporium tends to crowd during the evenings. 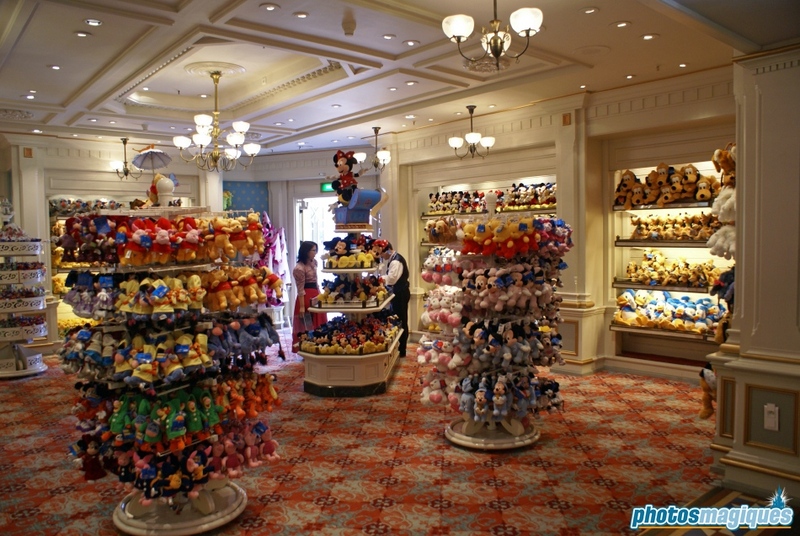 If you want to shop for souvenirs here, do it right in the morning, you’ll see there’ll be hardly anyone around.